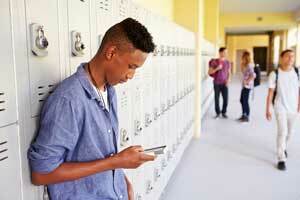 WeTip Anonymous Tip Line for Schools and Education | WeTip, Inc. Since 1972, WeTip has received over 1.2 Million Crime reports and aided in the prevention of thousands of separate school attacks. Over $340,000,000 in drug seizures have been made because of WeTip information. WeTip has intervened in countless threatening and dangerous situations. The numbers alone show the impact the WeTip solution is having on breaking down the code of silence. Sheer increases in the number of tips received each year demonstrates the change in culture and attitudes about reporting unsafe behaviors and situations. WeTip is an award winning anonymous crime reporting system. WeTip provides a comprehensive and personalized program that mitigates, deters and controls inappropriate and dangerous conduct and provides organizational transparency. WeTip operators staff the toll free, nationwide crime hotlines and internet lines, 24 hours a day, 365 days a year. The organization is not restricted, as law enforcement is, by jurisdictional enforcement lines or perimeters. WeTip will relay all tip information to all law enforcement agencies that need it. WeTip provides the maximum amount of information possible to law enforcement to enable them to conduct an investigation based on the anonymous information. WeTip answers the crime call anywhere in America for municipalities, school districts, corporations, small businesses, housing authorities and public and private agencies. WeTip actively and aggressively pursues training and public access to WeTip’s resources throughout all mediums available. Yes! WeTip does more than just empower individuals with a voice to speak up - it is also a powerful deterrent. When WeTip is implemented, it causes individuals to think twice before engaging in unacceptable conduct; discouraging harmful or inappropriate behavior from happening in the first place and fostering a positive organizational culture. The deterrent factor resulted in a decrease in crime in one of WeTip’s member school districts by more than 90%. As a member WeTip offers more than just a hotline number, WeTip also provides school related literature to help staff, students and parents be aware of a great program the helps make their school safer. Want more info on how to become a member school of WeTip's? Submit the form below to get a quote.